Feel free to share; apologies for cross-posting. The Political Ecology Society (PESO) announces the 2019 Eric Wolf Prize for the best article-length paper. We seek papers based in substantive field research that make an innovative contribution to political ecology. Clear links to some specific set of political ecology ideas and literature is important. To be eligible for the competition, scholars must be no more than two years past the Ph.D.. A cash prize of $500 accompanies the award, which will be presented at the 2020 Annual Meeting of the Society for Applied Anthropology (the committee is open to discussing arrangements for the award at an alternative meeting as suited to the winning candidate). The paper will be published in the Journal of Political Ecology; the prize reviewers may suggest revisions before the item is published. Electronic copies should be sent to Dr. Thomas K. Park ( tpark@email.arizona.edu ). The deadline for submission is July 15, 2018. Far-right political parties, ideologies and social movements are increasingly exercising influence across the world. At the same time, ecological issues, such as climate change, deforestation, land use change, biodiversity loss, and toxic waste are intensifying in their urgency. What happens when the two phenomena meet? How, when and why do they intersect? How are party and non-party sectors of the far right mobilizing ecological issues and discourses to their advantage, whether through championing or rejecting environmentalist claims? What are the ecological underpinnings of far-right politics today? This understudied topic forms the basis of this interdisciplinary conference on the political ecologies of the far right. From Trump and Bolsonaro to the Sweden Democrats and AfD, a radical anti-environmentalism is most often championed by the contemporary far right. This stance resonates with a conspiratorial suspicion of the state, science, elites, globalism, and supposed processes of moral, cultural and social decay. This is most clearly pronounced in climate change denialism and defense of fossil fuels, which have undergone a global resurgence in recent years. But the same position is also articulated in, for example, anti-vegetarianism or opposition to renewables. How can we understand the causes of far right rejection of environmentalism and environmental concerns where it occurs? What broader ideologies, interests, psychologies, histories, narratives and perceptions does it reflect? What might the implications be for ecological futures if far-right parties continue to amass power? How can the climate justice and other environmental movements and anti-racist, anti-fascist activism converge and collaborate? On the other hand, it is an inconvenient truth that there is a long-standing shadowy legacy of genealogical connections between environmental concern and far-right thought, from links between conservation and eugenics in the early national parks movement in the US, to dark green currents within Nazism. Hostility to immigration informed by Malthusian thinking and regressive forms of patriotic localism have often surfaced in Western environmentalism. Today, the mainstream environmental movement is more usually aligned with leftist, progressive policies, yet the conservative streak that always lies dormant in overly romanticized conceptions of landscape and nature, or fears about over-population, lie ripe for mobilization in new unholy alliances between green and xenophobic, nativist ideologies. In what forms does this nexus appear around the world today and with what possible consequences? What frames, linkages and concerns are central to eco-right narratives? How can environmental thinking ward off the specter of green nationalism? The conference aims to bring together not only scholars working at the interface of political ecology and far right studies but also activists from environmental, anti-fascist and anti-racist organizations and movements. We believe there is still much work to do to bring together these often separate strands of scholar and activist work together, and much opportunity for collaboration, mutual learning, and networking. This conference aims to hold a space for such engagement. Scholars: We welcome contributions from all disciplines (geography, anthropology, sociology, history, literature, political science, cultural studies, sustainability studies, STS, philosophy, art history, media studies, communication studies, et cetera). Apart from individual papers, we also welcome suggestions for panels and workshops. Activists: At least one day of the conference (Sunday – TBC) will focus on activist practices, with an emphasis on sharing and developing ideas and synergies between green and anti-fascist thinking and working, and on ways to collectively prevent a scenario of ‘ecological crisis meets fascist populism’. We invite activist groups and individuals to submit proposals for workshops, discussions, and presentations. In line with recent calls for radical emissions reductions at Swedish universities, we encourage prospective participants to consider other travel options than aviation if possible. We are also open to presentations via video link. Submission of abstracts: Please send abstracts (max. 350 words) to pefr@hek.lu.se by Thursday 16th May. There are a limited number of travel bursaries available (we will prefer non-aviation means where possible) for those who are most in need of support. Please indicate in your application whether you would like to be considered. In Bogotá, urban nature suffers from pressures for urban development, profit-making and corruption. But it has also been mobilised as a legitime vehicle in pursuit of a more just city-region. Undoubtedly, ‘sustainability’ has become a widely used buzzword not only in our daily lives, but also on both domestic and international political stages. With regard to the Circumpolar North, it has recently been suggested that “sustainability research in the Arctic has moved to the forefront of intellectual and policy realms” (Petrov et al. 2016: 166). Historian Jeremy Caradonna remarked that the concept of ‘sustainability’ (‘Nachhaltigkeit’) emerged in the context of conflicts over resources, especially wood, induced by the proto-industrialist economies of Early Modern Europe at the beginning of the 18th century (Caradonna 2014). He did not pay, however, much attention to the political effects of this particular development. In contrast, historian Joachim Radkau argued that the articulation of ‘Nachhaltigkeit’ essentially relates to the emergence of the modern, bureaucratic state and that therefore the invocation of ‘sustainability’ has to be understood in clearly political terms (Radkau & Schäfer 1987; Radkau 2011). In line with this rather critical stance towards ‘sustainability’, we propose to shift attention to the politics of its invocation: What are the consequences of the introduction of the concept in specific ethnographic settings? What kinds of actors are mobilized and what types of alliances are formed (e.g. NGOs, governmental organizations etc.)? How do these actors deal with potentially different notions of ‘sustainability’? How does ‘sustainability’ relate to the emergence of intensive resource extraction and the (colonial) bureaucratic state? To what extent do invocations of ‘sustainability’ shape the discursive frames of political processes, limiting the field of potential articulations of ‘collectivity’? The proposed workshop explicitly attempts at breaching narrow regional as well as disciplinary perspectives and therefore welcomes contributions not only from other parts of the globe, but also from related disciplines. Please note that the “two-role” rule applies to presentations, the organisation of workshops or roundta­bles, and the role of discussant: each conference participant is allowed to take on roles in a maximum of two categories (presentation, discussant, the organisation and chairing of a workshop or roundtable); it is not possible to take on two roles in the same category. Apologies if you’re seeing this a second time – had some technical issues when I tried to post it previously! Whether to address neo-Malthusian concerns of population increase, global food insecurity, or the effects of climate change, agriculture and food systems are critical sites at which to enact change that will vitally shape both human and environmental futures. Scholars, farmers, and consumers look to alternative food systems to provide promising paths forward from the problems many identify within current global agro-industrial food systems. This proposed panel at the 2019 Society for the Anthropology of North America/Society for Urban, National, and Transnational Anthropology Spring Conference asks what positive futures farmers imagine for themselves and others, the affective and cultural meanings they attach to their work, and how their projects interact with and illuminate agro-ecological and political-economic regimes at a variety of scales. How do alternative food systems and practices function as placemaking projects, and how do they gather and mobilize particular social and ecological relationships? How do interactions with particular places, movements, and markets inform the formation of identities and subjectivities? To what extent are practitioners and stakeholders active in relocalizing and perhaps even decommodifying agricultural economies in the face of capitalist agro-industry? Despite a discursive opposition of local, alternative agriculture and globalized agribusiness, transnational connections have long been important within agriculture and food systems due to reliance on immigrant and migrant farm laborers. These connections continue to expand with the rapidly growing number of immigrant and minority farm operators in the U.S. How do these farmers and farm laborers engage with alternative food production or straddle an agro-industrial/alternative divide? In what ways might alternative food systems represent a sort of bottom-up globalization (sensu Escobar 2001), pushing the boundaries of how we define local food? And in what ways do immigrant farmers and laborers find and create cultural, affective, and strategic value in agriculture and construct their food and farming practices as spaces of hybridity and transnational practice? In examining these transnational agriculturalists, their identities, and practices, this panel also seeks to challenge and expand upon the traditional ways that the positive futures associated with alternative food systems are conceived. Organizers of this panel are doctoral students who work with immigrant farmers and farm laborers in the Northwest and Southeastern U.S., respectively. We invite a variety of perspectives on the ways in which identities are articulated through or remade by engagement with food systems and political and folk-ecologies across multiple scales. Interested participants should send an abstract of no more than 250 words to both Emily Ramsey (emily.ramsey@uga.edu) and Alex Korsunsky (alexander.s.korsunsky@vanderbilt.edu) no later than February 21, 2019. In addition to the abstract, include the title of the paper, the author’s name, affiliation, and email. Conference Logistics: The conference takes place at the Hilton Caribe in San Juan, Puerto Rico from May 2-5, 2019. Students and local residents can participate in the conference for free, while underemployed faculty members qualify for a reduced registration rate. Membership in SANA or SUNTA is not required to participate. 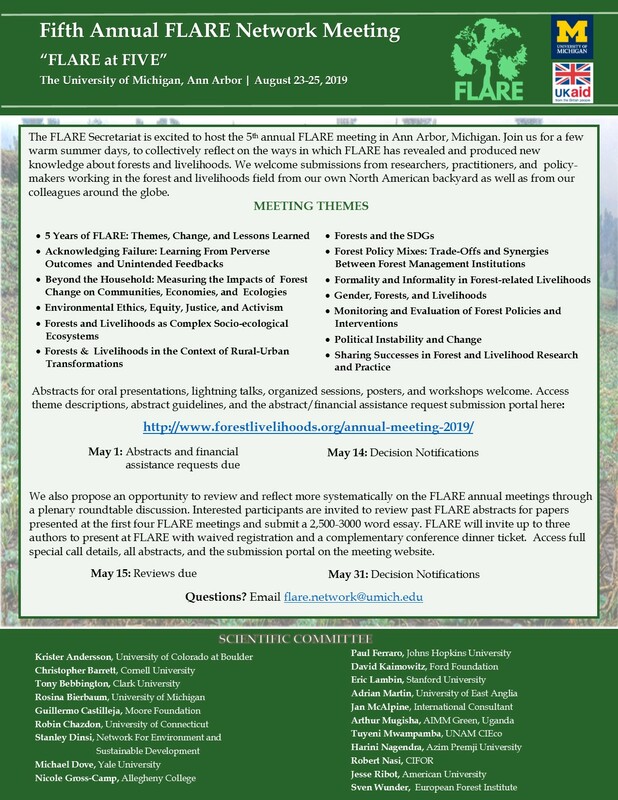 Registration for the conference must be made by March 1st, 2019 at 3pm EST to submit an abstract and participate. Reference Escobar, Arturo. 2001. “Culture sits in places: Reflections on globalism and subaltern strategies of localization.” Political Geography 20: 139-174.